We all love thrillers and particularly when it comes to Bollywood, don’t we? One such amazing thriller and mystery that kept audiences glued to the screen in Kahaani. The film starred Vidya Balan who has always been noticed for adding her exceptional acting prowess over the script and the plot of a film. The film was off beat, with no romance, singing or dancing, still it worked its charm and made the audiences fall in love with everything about it. This movie’s sequel will hit the multiplexes soon and so be there to witness another thriller on the very day it releases. To make your journey smooth to the cinema halls use Uber Promo Code to book your cab and avoid parking and other hassles. Vidya Balan was shown carrying a huge pregnant belly and was made to look very simple, yet her acting skills worked out for her, making the act, so very natural. This time around, the actress is returning back on screen with the sequel of the movie, although, we expect same additional twists and turns to make the film, all the more interesting. The fact of the matter is that Kahaani’s success is indeed going to be compared with this sequel, so the makers would have been under pressure for sure. The trailer is already out and certainly looks equally enthralling to us. 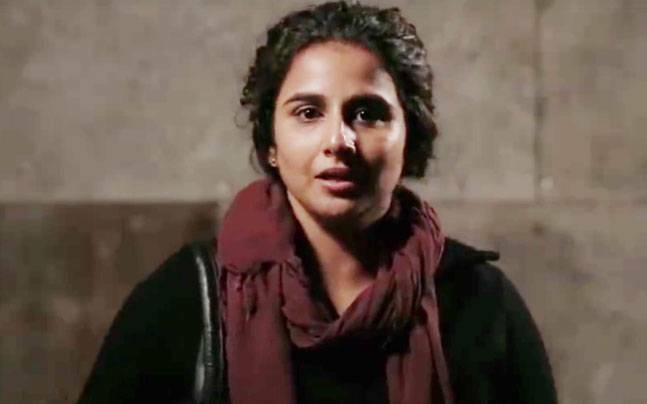 The teaser of Kahaani 2 promises that drama, suspense and action is certainly going to be there; the movie looks set to make the audiences sit and get drooled over the dramatic display of the script. Vidya Balan is again seen in her famed no makeup look that makes her acting do the job, undoubtedly. The trailer is convincing and should work around its charm on the Kahaani fans, yet another time, for sure. This time around the trailer opens with the actress being hit by a taxi from behind, which looks interesting and similar to the last movie, wherein she was thrown in front of a moving train. This has ignited the suspense and now audiences are already eager to watch the film and look for the movie to unfold the mystery. The cherry on the cake is, of course the vivacious presence of Arjun Rampal. This element is all the more fun to be in the film, and is certain to add to its drama quotient to the fullest. We are all waiting for this dashing actor to return on the big screen after a long. He is another actor who has natural acting instincts. There is a cute little girl in the film, called Mini. This is story seems to revolve around her. The film shows that Mini is missing and then there are a series of secrets, mysteries and drama waiting to be unfolded. Arjun Rampal looks great in the uniform, while he plays the character of a cop in the flick. The movie is scheduled to be out in the month of December and is simply just around the corner for sure. The anticipation has already stirred amongst the audiences, making it all the more interesting to wait for such a film. The director has some serious creative abilities and he makes sure to make his script seem as appealing, right and absorbing as possible. When the movie has all of the required ingredients, there is indeed no scope of a doubt in the matter! I am eagerly waiting for this sequel. Hope it turns to be good.